Visit this URL to install the Dubb Outlook Add-In. Please note: If your network server has not yet been migrated to Office 365, then you will not be able to install advanced Outlook Add-Ins such as Dubb's. Here is what the Dubb Outlook Add-In looks like. 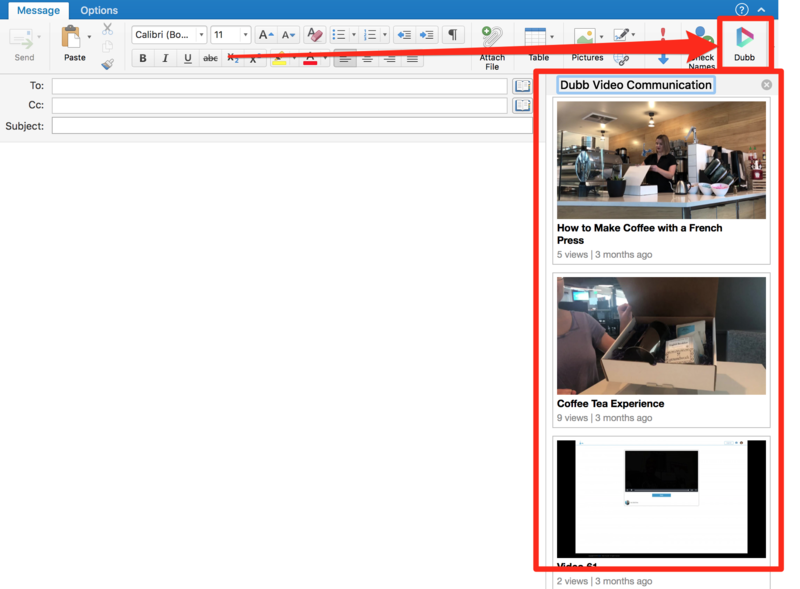 This Add-In lets you insert videos directly into your Outlook emails with 1-click.